Best tool for image resize and converter. using the batch mode, easily adjust the size of your images, rotate them, add a watermark, or rename and export them. Best tool for image resize and converter. using the batch mode, easily adjust the size of your images, rotate them, add a watermark, or rename and export them. Importantly, to batch convert all your images with a single click, you can batch convert them by selecting the multiple or all options. your images can be exported in several formats: JPG, PNG, BMP, TIF, TIFF, TGA, XPM, XBM, and PPM. Batch Convert Choose several pictures or add a folder to rotate them, change their size, add watermarks, or rename and convert them to many image formats. Rotate Rotate your images 180Â° 90Â°CW and 90Â°CCW, and then choose to rotate them vertically or horizontally. Resize Resize and crop are at your disposal. Aspect ratio can be maintained; you can change your image size, or crop an image from any area on your picture. Watermark Select you text or image to watermark. Set the font and color of the text, or select an image to mix it. Watermark position, rotation angle and transparency can also be set. Rename Use this format: ?newname####? and set the start number. Use the batch mode to change file names in any sequence. Convert to many Formats Export your image in the original format or select JPG, PNG, BMP, TIF, TIFF, TGA, XPM, XBM, or PPM. Set the quality and save to your location. Feature-rich PDF to Image Converter & PDF to TXT Converter To convert PDF to JPG, PNG, BMP, etc. as well as TXT & Microsoft Word. It saves significant time and money with PDF Converter products without compromising on features and quality. Protect your privacy and insure your anonymity with a powerful, easy to use, batch EXIF Eraser, XMP Eraser and ITPC Profile eraser for your photos. Helps you remove unneeded and possibly sensitive information from your digital photos. Convert multiple photos to TIFF with a single click. Designed for speed, Convert! To makes the days of converting by hand obsolete. Keep your website running smoothly and effectively by optimizing your images for web. Many images can decrease their filesize without losing any quality (Losses Image Compression). This is done by removing the superfluous metadata. GIF to Flash Producer is an amazing conversion tool that allows you to convert animated GIF to AVI, SWF,FLV flash and you can add gif files as many as as you need.It can finish the conversion in a second. 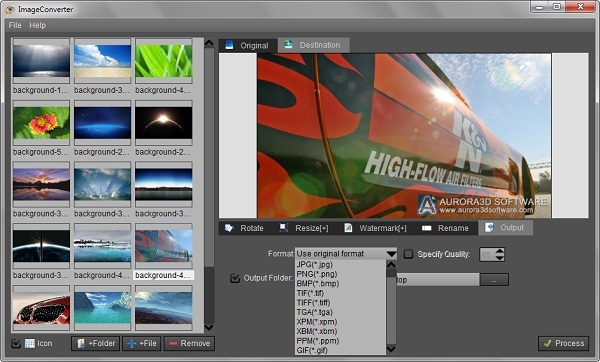 This software offers a solution to users who want to cycle through one or more Photoshop files and save each layer as a separate PSD, JPG or BMP file. PDF to AutoCAD is a powerful windows program that will help you convert your PDF files to usable and editable AutoCAD DXF files quickly and easily. You can import DXF files into AutoCAD and save them as DWG format. Convert multiple photos to PNG with a single click. Designed for speed, Convert! To makes the days of converting by hand obsolete. GIF to Flash Batch Creator is an amazing conversion tool that allows you to convert animated GIF to AVI, SWF,FLV flash and you can add gif files as many as as you need.It can finish the conversion in a second. This site does not contain serial number, crack, keygen ImageConvertPro serial number : serial number is the simplest type of crack. A serial number(cdkey,product key,etc) is register the program as you may already know. a crack or keygen may contain harmful software. If you cannot find the exact version you want, just give it a try. for more information read .nfo/.txt/.diz file include in zipped file.